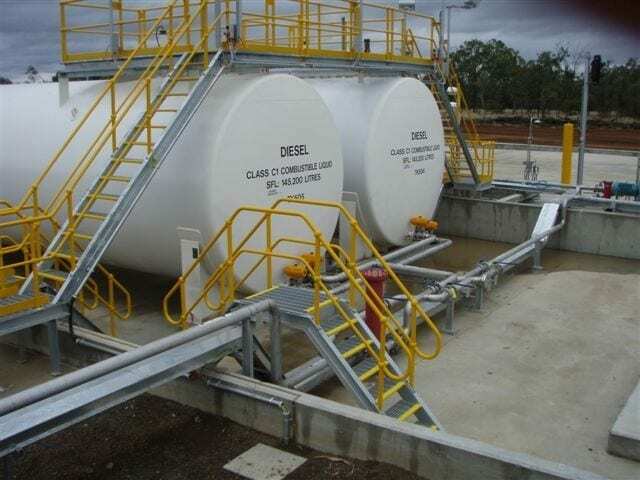 Onground tanks are traditionally used due to their simplistic design, ease of product movements and maintenance benefit due to minimal regulatory control measures. Category 4 tanks can store a range of products from hydrocarbons to chemicals to emulsions and with the appropriate internal tank lining, aviation products such as Jet A1 and Avgas, as per AS1692. Bottom outlets and fill lines provide a simple flooded fuel pumping and manifolded system for easy stock control. Onground tanks are supplied complete with fully welded steel cradles and access ladders. Optional products include manholes, alternative pipe locations, indirect fills and various coatings. Capacities range from 2,000 litres to 150,000 litres.